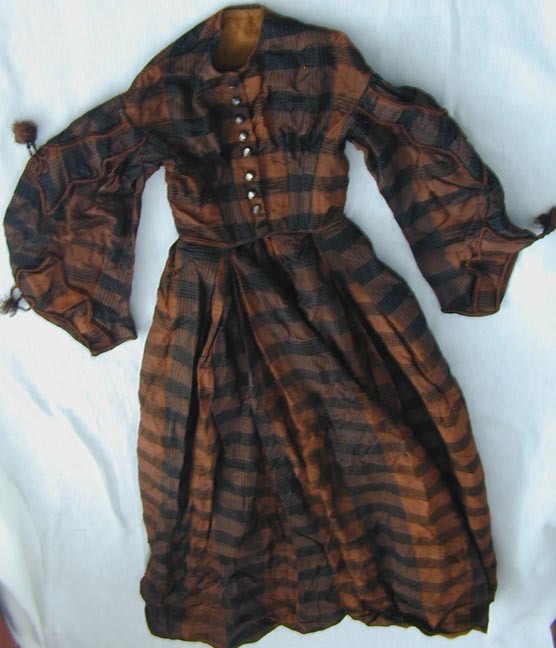 This Victorian dress is made of a tan and black plaid material that I think is taffeta. 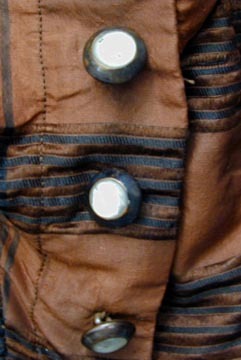 It's slightly short waisted with decorative glass and metal buttons and hook and eye closures. 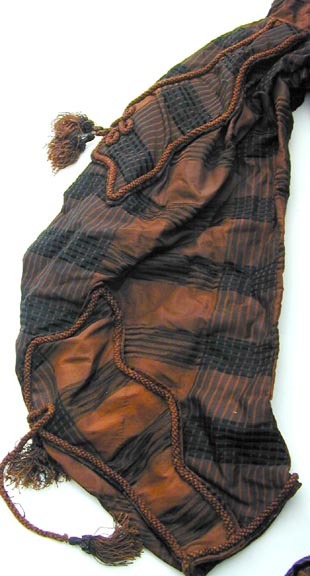 The large sleeves have decorative cord with dangling tassels. From waist to the bottom of the skirt is 43 inches. 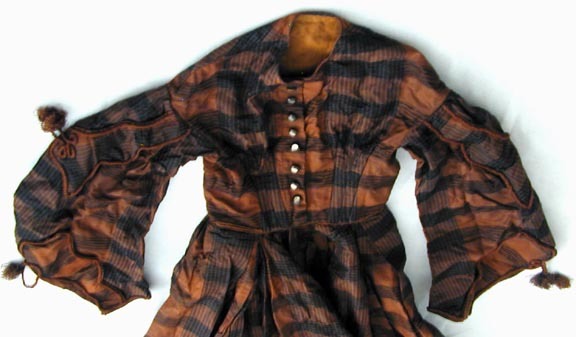 It's 14 1/2 inches from the back neck to waist, and 17 inches across the shoulders between the sleeve seams. The waist is 22 1/2 inches. 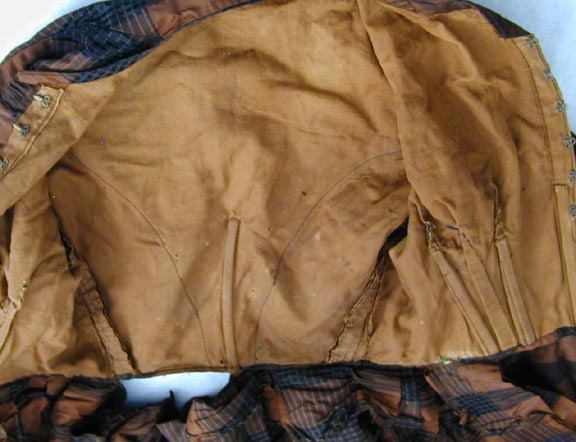 Condition is poor - the material is brittle and splitting in a number of places on the skirt. 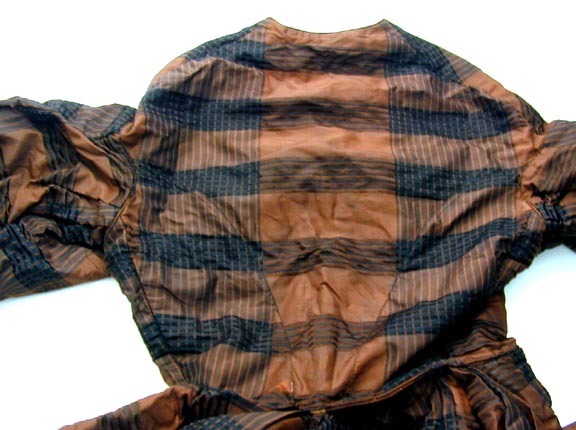 The skirt has come undone from the top at the back.